Neumann was previously head of VW's China operations. FRANKFURT -- Volkswagen Group is looking at rehiring Opel CEO Karl-Thomas Neumann, possibly to lead its Audi brand, a source familiar with the matter told Reuters, following a report that Neumann will quit Opel. Neumann plans to resign as General Motors prepares to sell its European business comprising Opel and Vauxhall to PSA Group, German newspaper Frankfurter Allgemeine Sonntagszeitung reported over the weekend. Without citing its sources, the newspaper said Neumann saw the sale as the right strategic step, but was concerned PSA under-estimated the growing importance of electric cars. The source said VW bosses were informally discussing giving Neumann, who quit VW in 2013 for the Opel top job, a prominent position, potentially as head of premium brand Audi. VW and Opel declined to comment. Audi CEO Rupert Stadler has come under fire for how he has handled the fallout from VW's diesel emissions scandal. He only received a five-year contract extension last month because of an agreement among supervisory board members that he would not serve out his full term, two sources have told Reuters. Pressure has built on Stadler after Munich prosecutors widened an investigation into the premium carmaker, and after Germany's transport ministry accused Audi of cheating on emissions tests. In an interview with Automobilwoche, a sister publication of Automotive News Europe, Stadler over the weekend defended his record: "The diesel crisis has consumed and is still consuming resources. I'm still convinced that we have initiated the right strategic steps." 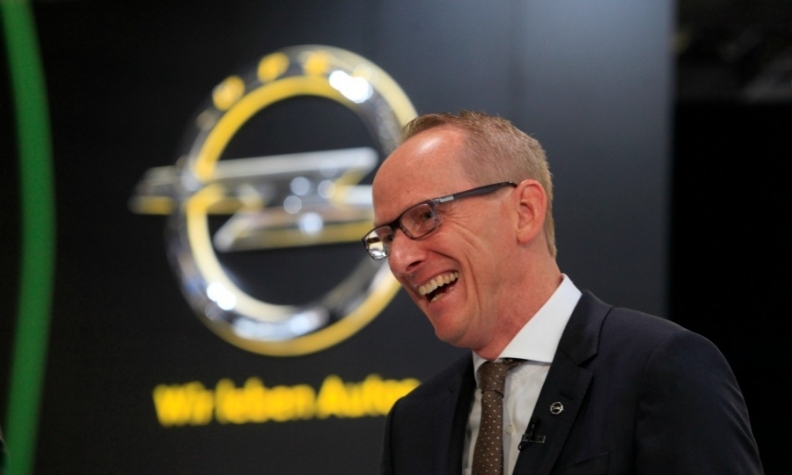 Neumann, 56, planned to inform Opel's supervisory board about his decision at its next meeting on June 22, Frankfurter Allgemeine Sonntagszeitung said, adding he wanted to stay on only until GM completed the sale of Opel to PSA, owner of the Peugeot, Citroen and DS brands. Opel this week said the 2.2 billion euros ($2.5 billion) deal could be completed as early as July 31, pending regulatory approval from antitrust authorities. Neumann joined GM in 2013 to lead the U.S. automaker's European operations after losing out in a management reshuffle at VW. In his former roles at VW, he was in charge of electro-mobility and head of China. Opel plans to appoint an internal candidate to succeed Neumann, Frankfurter Allgemeine Sonntagszeitung reported. Top candidates are sales chief Peter Kuespert, finance boss Michael Lohscheller and marketing chief Tina Mueller, the paper said.